We see ourselves as a knowledge-sharing platform, striving to accelerate innovation in different fields of society. Our spirit is in constant expansion: We believe that good ideas and enthusiasm are contagious. We stand for societies involved in their scientific advances, who care for knowledge as one crucial path to make a better living in this planet. EUSEA is an international knowledge-sharing platform and accelerator of innovation in the fields of public engagement. The association addresses experts involved in the design, organisation and implementation of public engagement activities across Europe. Eusea is an active consortium member in projects funded by the European Commission and supports partners in European funding policies. In times of rapid changes in scientific institutions and society at large, science festivals and public engagement activities offer much more than “edutainment”. Collaboratively designed events can build bridges – between science and society, researchers and citizens, policy makers and innovators. The formats are as diverse as the institutions behind them: All across Europe you will find Science Festivals, Researchers’ Nights, Science Parliaments or Maker Faires, organized by universities, municipalities, science centers or cultural institutions. Many such events have evolved all over Europe: from Slovenia to Sweden, from Portugal to Poland, from Israel to Iceland – and more are on the way. EUSEA initiates and supports many of these activites as a strong partner striving to develop science festivals and public engagement activities that make an impact across Europe. Join us – and receive impulses for your work from an open community of experts! 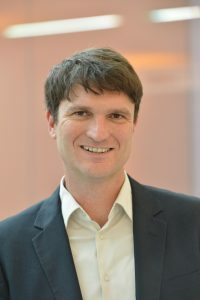 Since January 2012, Markus Weißkopf is Executive Director at Wissenschaft im Dialog (WiD). The initiative of several leading German science research organizations brings together science and society and encourages dialogue between them. Markus studied politics and management in Konstanz (Germany) and Madrid. After his occupation as a consultant for organizations, he established the “Haus der Wissenschaft” (House of Science) in Braunschweig (Germany) and became its Executive Director shortly after. With WiD he organizes dialogue events on controversial topics of research, exhibitions and competitions, and develops new formats for science communication. 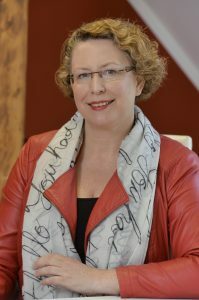 Annette Klinkert, Eusea member since 2007, is CEO of the company city2science and Administrative Project Manager of the HORIZON 2020 project NUCLEUS at Rhine-Waal University. She initiated and conceptualized a number of innovative science communication formats across Germany, such as the science festivals “GENIIALE” and “WissensNacht Ruhr”, “FameLab Germany” and “MakerFaire Ruhr”. She was appointed as former project officer for the FP 7 project “PLACES” and is regularly invited as lecturer and workshop-leader at national and international science communication conferences. Cissi Askwall is Secretary General of VA (Public & Science), a Swedish non-profit association aimed at promoting dialogue between the public and researchers. VA arranges many events and activities aimed at stimulating interaction and mutual understanding between researchers and the public in new ways and in novel arenas. The association also carries out studies and surveys with the aim of increasing knowledge about the relationships between science and society at large. Since 2006, VA is the national co-ordinator of the annual European Researchers’ Night in Sweden, involving some 30 local events. Cissi Askwall’s professional background combines journalism, communication, public engagement and public involvement in research. 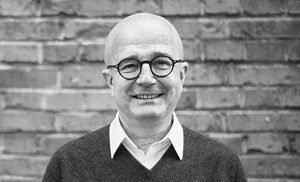 Enrico M. Balli is the CEO of Sissa Medialab, a not for profit company owned by SISSA, the International School for Advanced Studies of Trieste. Sissa Medialab specializes in all forms of science communication with a strong international viewpoint, relying on a network of thousands of scientists around the world. It caters both to the general public, from small children to adults, and to the scientific community. Sissa Medialab produces and manages a number of scientific journals including JHEP, JCAP, JSTAT, JINST and JCOM. It organizes projects, events, educational programs, and innovative products to communicate science participating in numerous European networks. Aleksandra Drecun is the President of Intersection – Center for Science and Innovation, Belgrade, a regional action tank engaged in science-society interface. Drecun is the member of two EC DG Research and Innovation Horizon 2020 Program Committees: for “Strategic Configuration for the Implementation of H2020, with Science and Society” and for Societal Challenge 6 – “Europe in a changing world – Inclusive, Innovative and Reflective Societies”, the member of the Helsinki Group (advisory body to the European Commission on Gender and Science) and the EC COST GenderSTE Management Committee. She also serves as a member of the Advisory Board on several H2020 projects. Aleksandra was the founding director of the Center for the Promotion of Science (2009-2015), where she managed projects in the field of RRI and Science with and for Society (FP7, H2020, Erasmus, Erasmus+, Creative Europe, Comenius, etc.). Philipp Burkard is the Director of the national foundation Science et Cité in Switzerland. Science et Cité is a network for science-society-dialogues, with a special focus on citizen science and dialogue-oriented formats of Science Communication. 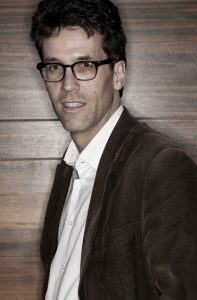 Philipp Burkard is a member of the Directors’ Board of the Swiss Academy of Sciences, as well as of other scientific and cultural associations in Switzerland. He is an experienced lecturer for science communication. Since 2016 he is a member of the Advisory Committee of Science Barometer Switzerland. Philipp has studied Humanities in Bern and Vienna and brings in professional experiences in the fields of science, education and culture.